We had another 'lay low' kind of weekend and there just wasn't much to blog about it. We have some super packed weekends coming up after this one so I'm not complaining in the least! Plus I'm totally a homebody so staying home and doing nothing is just fine with me! My mom, sister and I are planning a bridal shower for our cousin's fiance. We met up this weekend to cuss and discuss our plans. We aren't going over the top with decorations but this is one thing we are planning to do. My mother-in-law has her own carpet shampooer - all the praise hands! Our living room carpet was getting pretty dingy so I borrowed her shampooer and took care of that! I love how fresh and clean it is after I get done! My in-laws are moving end of February so I told her I'd hold on to it until after they get moved - one less thing - so I'm taking advantage of having it longer and shampooing the three bedrooms upstairs, they all have the same cream carpet in them. I've done the hallway and Tate and Tenley's rooms so far, just have to do our room and I'll be all done! Aww, fresh and clean! I got tired of Tenley standing up in her high chair and me continually saying "Sit down!" so I pulled out the booster chair to see how she handled that. She loved it! She felt like a big girl sitting right at the table. I guess we have graduated out of the high chair and into the booster seat stage now. The aftermath. It doesn't look as bad here as it did in person. Thank goodness for baby wipes! Late last Fall I painted our entire main level a shade of gray called 'Moon Shot' by Valspar. I 100% love it and am so so happy with the color! But it's taken me this long to start hanging pictures back up on the wall. I just don't know quite how I want to do it. This past weekend I finally got tired of looking at the frames in the closet so decided to get the kid's school pictures hung up (meaning Andy hung and I directed!). I want to put something in between each of the pictures and know exactly what that something looks like but have no idea what to call it to search for it online. Joanna Gaines would know since I've seen it on Fixer Upper many times. I need to make a trip to Homegoods to see if they have something similar or something I'd like just as much but in the meantime the pictures are hung and I love how they fill this whole wall up! Next we hung an architectural drawing of the Brooklyn Bridge above the piano. Andy and I found this drawing years and years ago and with Andy's engineering background it suits us well. We've always had it hung in this room but moved it to another wall and above the piano. That's been life lately! Uncomplicated and easy going. Because 'Whats Up Wednesday' is a whole month away I have to tell you guys that we just started watching 'The Crown' on Netflix and oh my goodness is it GOOD!!! We are only two episodes in but it has both me and Andy hooked. I actually texted him earlier telling him to forget about work and get home so we could just binge watch it all day. Ha ha! I wish! Another WUW topic is what we're reading. Well, I started reading The Farm by Tim Rob Smith and had to give up. It was just so boring and drawn out! I texted a friend in the book club with me and whined that I'd rather claw my eyes out than pick that book back up again. I was actually dreading reading it, it was that bad! She actually made it through the whole thing so told me what happened. It's actually a good story idea but the delivery was just off for me. In my entire adult life I have only one other time started and not finished a book. I feel like such a failure, lol! Oh well, on to the next one! The Silent Sister by Diane Chamberlain. 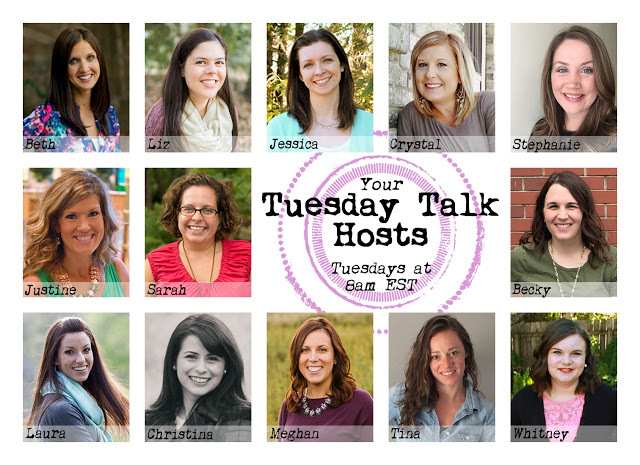 Linking up with Justine for Tuesday Talk! 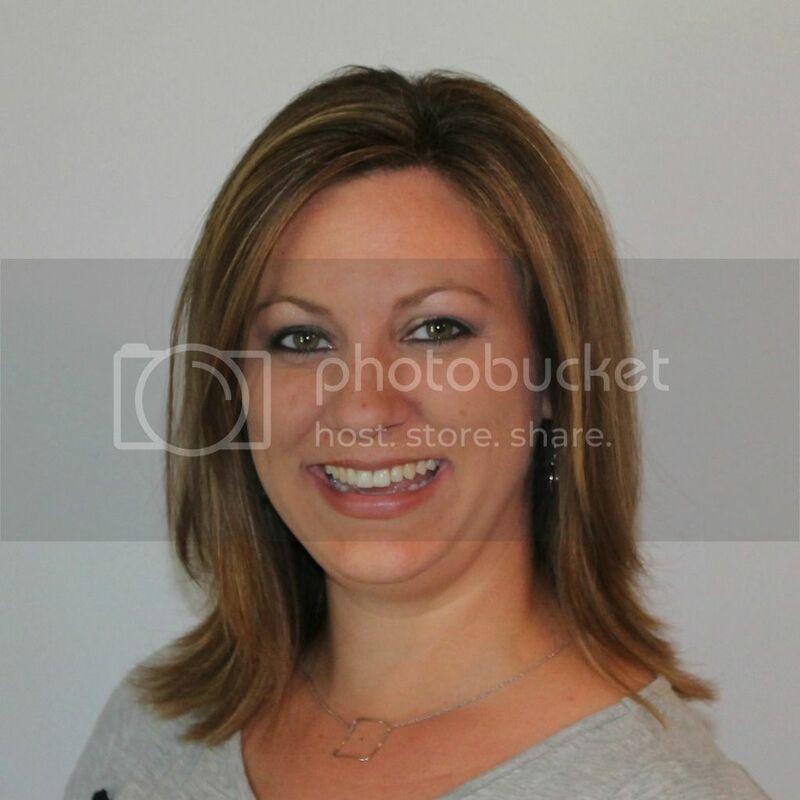 Don't you just love Joanna Gaines?? I wish she would just come decorate my entire house!! Could your kids be any cuter!?!?! Tenley in her booster and both kids in their hats with their suckers! I can't wait to see what you do with the pictures! I love Joanna Gaines. The whole time I was off I watched Fixer Upper over and over and over. I love the picture wall. I am wanting to do something like that with my 3 boys pictures, I have been lacking on. The only family picture I have hung is when Oliver was 4 months old and I don't have any pictures of Evan aside from the 5x7's form his party. LOVING the pictures on your wall. And I'm so intrigued as to what those things are that you want to put between each! So sweet of that man in the grocery store. But, I'm not at all jealous of the sticky aftermath! Oof, good to know about The Farm. There's only one book I've started and couldn't finish (In the Garden of Beasts), and it still kind of bugs me that I didn't finish it. But, oh my gosh, was it so DRY and BORING.